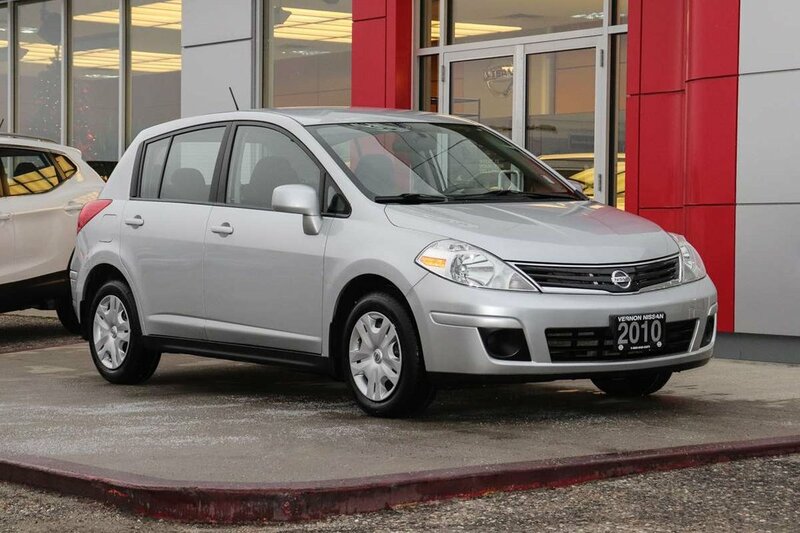 This two owner 2010 Nissan Brilliant Silver Versa comes to us with low mileage of only 77,789 kilometers. It has been well maintained and is still in great condition! This front wheel drive S model comes with air conditioning, AM/FM/CD audio system with Auxiliary Input Jack, power windows, power locks with remote keyless entry, power heated mirrors, tilt steering wheel, 12V power outlets, rear window defrost, 60/40 split rear fold-down seat, and so much more!! 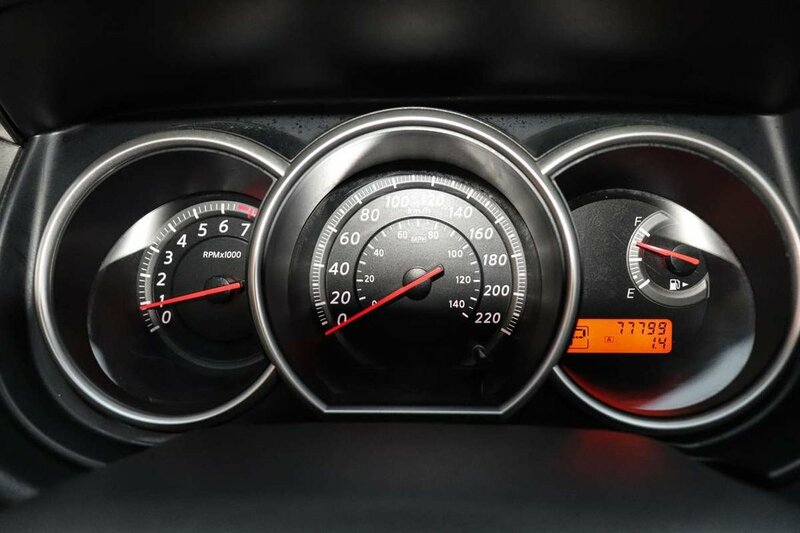 This Versa is extremely fuel efficient and has one of the lowest costs of ownership in the market today. Our Certified Technicians have performed a full safety inspection. We have topped up all fluids, serviced brakes, changed engine oil and filter, replaced front crank seal, resealed timing chain cover, and mount and balance 4 brand new tires. The second owner a local retired lady purchased this gently used from our sister store Kelowna Nissan. She loved the fuel economy of the Versa as well as the practicality of having a large hatch to put all of her items in when she went shopping. She also loved how easy it was to get in and out of. She knew she wanted a another Versa just with some more bells and whistles and was pleasantly surprised to find a newer 2017 Versa in our pre-owned inventory! For our final touches it has received our full detail package including interior and exterior rejuvenation.